Log book provides entries for up to four vehicles -- includes year end summary. Designed to comply with IRS requirements. Document all your mileage for business and personal purposes. Keep track of all expenses related to your vehicle(s). 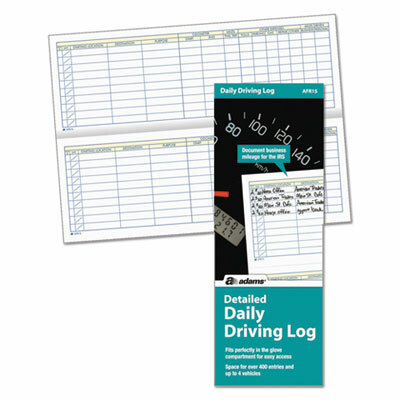 Log book provides entries for up to four vehicles -- includes year end summary. Designed to comply with IRS requirements. Click here to see more Forms!